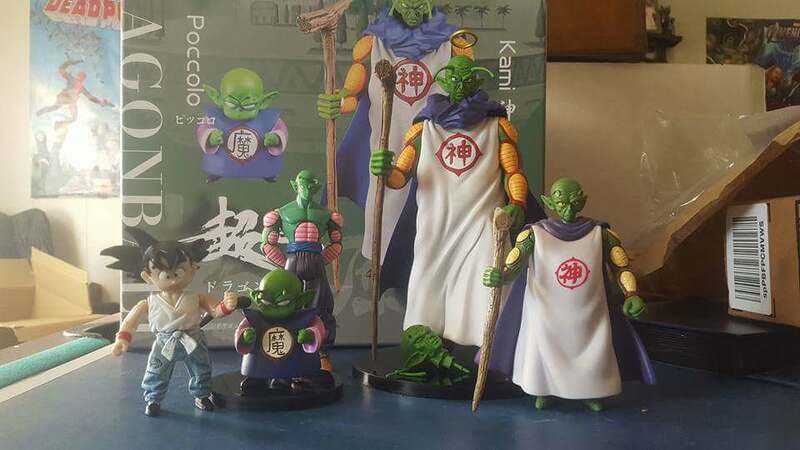 I went ahead and bought a Dragon Ball Adverge EX kid Piccolo off ebay for $12. I doubt I'll ever see one for much less than that. This series really doesn't seem too popular because of the size and price. But this guy is supposedly 40mm tall which is pretty perfect for my 5 inch scale DB collection (I hope). I know the production version's antennas don't insert well though, they look a little different from how bad the prototype's insert too. They have a really dumb looking circle around them. But I think I'll live. Prototype on the left. Production in the middle and on the right (if the pics work...). Could be a cool thing to have. This adverge one should have a regular Jakks/Irwin size head for the most part, so I think I'll be happy with him. The toddler Gohan is extremely tempting and I'd highly recommend it to you Ascat. www.ebay.com/itm/BANDAI-DRAGON-BALL-Z-Super-ADVERGE-EX-Children-Mini-Figure-Son-Gohan-NEW-F-S/263458023869?hash=item3d575269bd:g:z4EAAOSwkvdacC4O You probably won't see a price better than that on ebay. These things aren't too common on there, and they are always rip off prices. 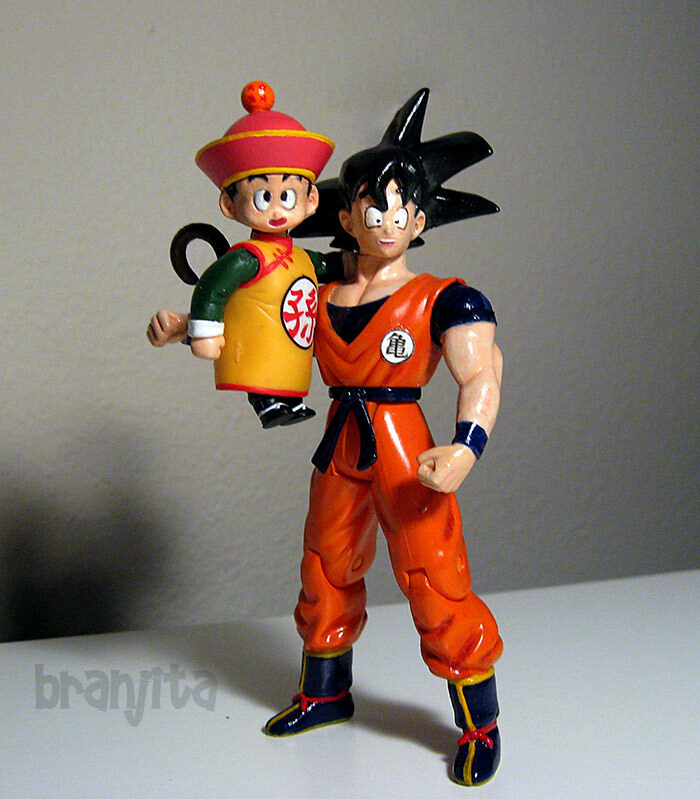 If I didn't already have a custom figure of this Gohan that is reasonably to scale, I would get him for sure. Heck, I may still get him. I'm not sure I can resist getting him. Ascat The price really isn't too good to be true when these things in Japan are about $38 for a case of 10 (so $3.80 each). He still has a huge mark up on the price (though I don't know how much it costs to ship from Japan... I am pretty sure it is significantly cheaper to mail something small to the US from Japan than vice-versa), but it's nothing like the $80 a case that Big Bad Toy Store is charging. These figures probably weigh less than 3 ounces when mailed. About like mailing Irwin Puar in an envelope instead of box. So you could order a case from hlj if you prefer. I'm sure you wouldn't have much trouble selling the extras. (Though, you'd be paying like $3.50 to ship each one to other people in the US, which brings your price to being almost what this Japanese seller is charging) hlj.com/product/BANN19080 Looks like their cheapest shipping method is $6.54. I probably should have just done that myself. Oh well. I've seen someone open a case on Facebook and they had 2 of each character, except only 1 gohan and 1 chichi. I don't know if every case is similar or if it was random. 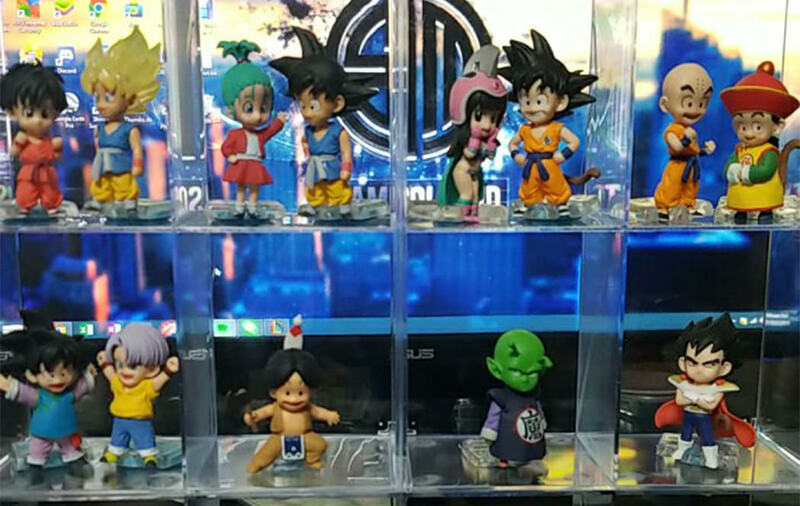 I would assume there's at least 2 goku and 2 krillin in a case, but I am just assuming that based on character popularity. I just bought this loose set of recent WCF figures. 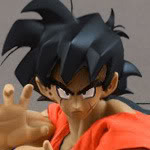 I really like that gokus head! 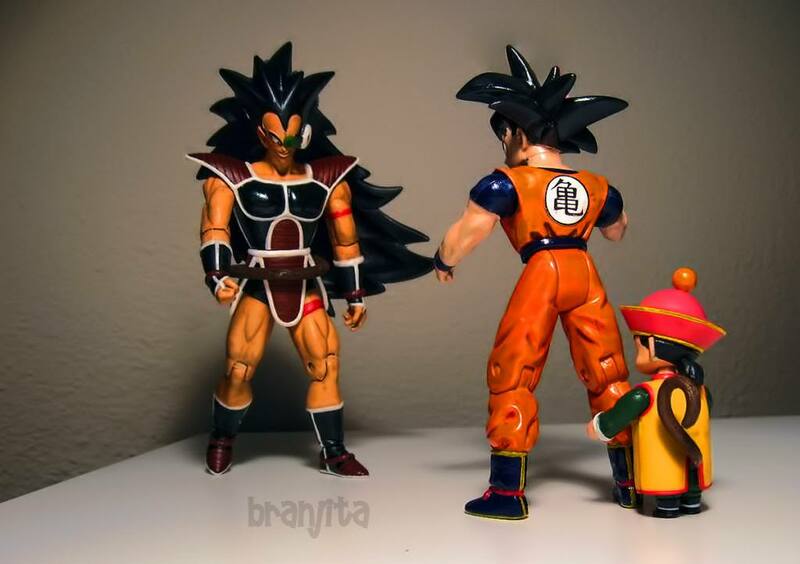 Since finding these figures cheap isn't that easy, unfortunately, I don't think I'll be head swapping Yamcha and Goku. But if I find another of those 2 for super cheap, I could sell you the head lol. I won an Adverge Toddler Gohan on ebay for $8, so I'm fairly pleased. I think he'll likely fit in with my 5 inch scale collection pretty well based on the few images I've seen on him with Figuarts. Ugh, google image search is getting ruined due to fanart. I had to search a thread on DBF to find this image. 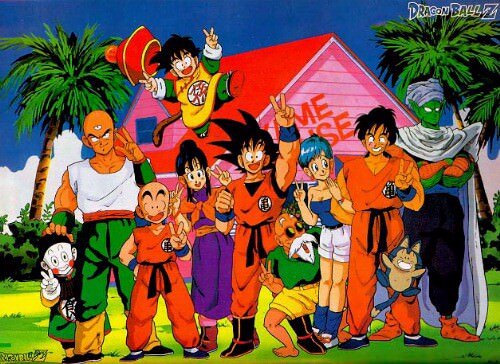 Other than Gohan's hat being too big (lol) this group picture from Saiyan Saga is really accurate for that time period. So Gohan would be slightly smaller than Chaozu in this pic, and so my Jakks one is pretty much proper for that. My custom figure looks too big. So I think the Adverge one will be ok. I am hoping at least. I know he's going to be small, but I hope he's not THAT much too small. This pic was taken for me by someone named Todd Russell on Facebook, and you can see Toddler Gohan is a little beefier than Kid Piccolo, so I have my fingers crossed. I'm really sad all of the other children (who literally went on sale this week--this guy lives in Japan or is visiting Japan) are so small. 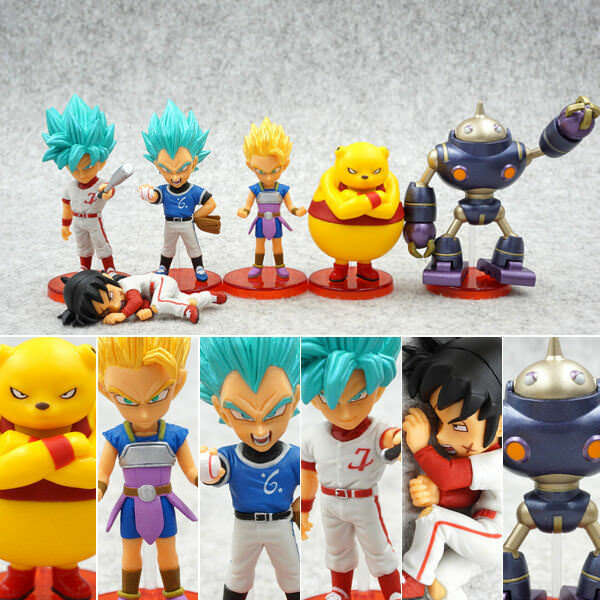 But I think Bulla/Bra and Pan may end up being "must have" figures for me, since I'm not super fond of my custom Pan and there's never been a Bulla/Bra figure as a child, except a little Keshi unpainted figure I think. 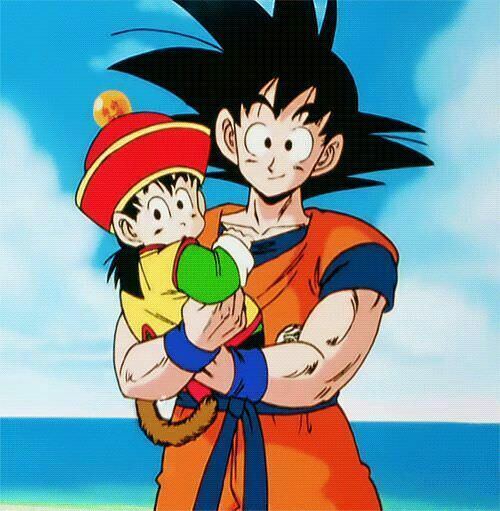 I should still make Bulla/Bra someday... but as we all know... I haven't really touched my custom figure stuff much in about 3 years. But it seems like these children made by Adverge are much closer to 4 inch scale, so Real Works collectors (if there ARE any... I don't know of any anymore) should be really happy, because these should fit in great with their collections.